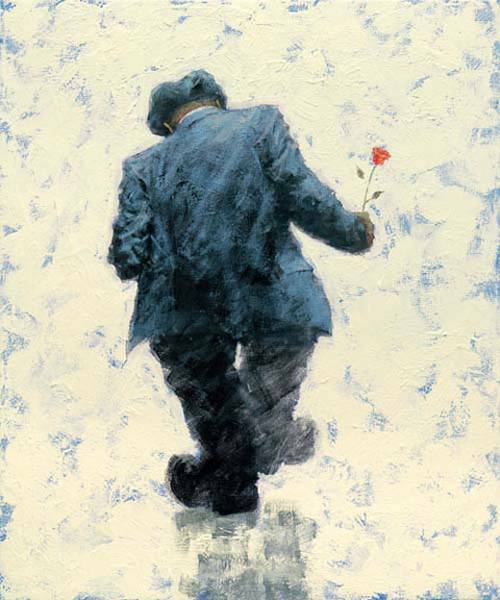 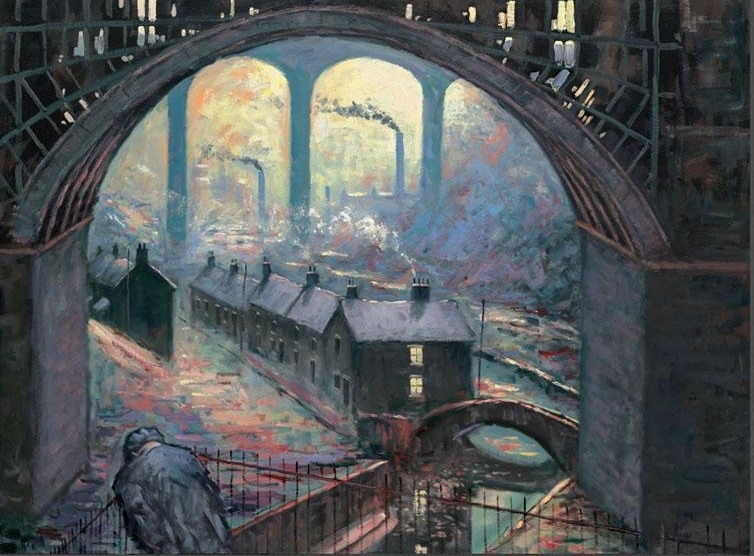 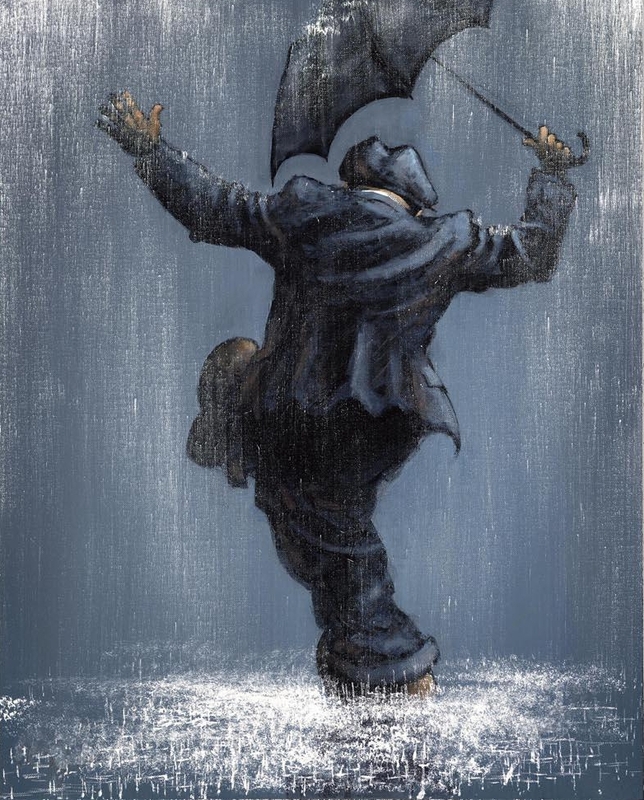 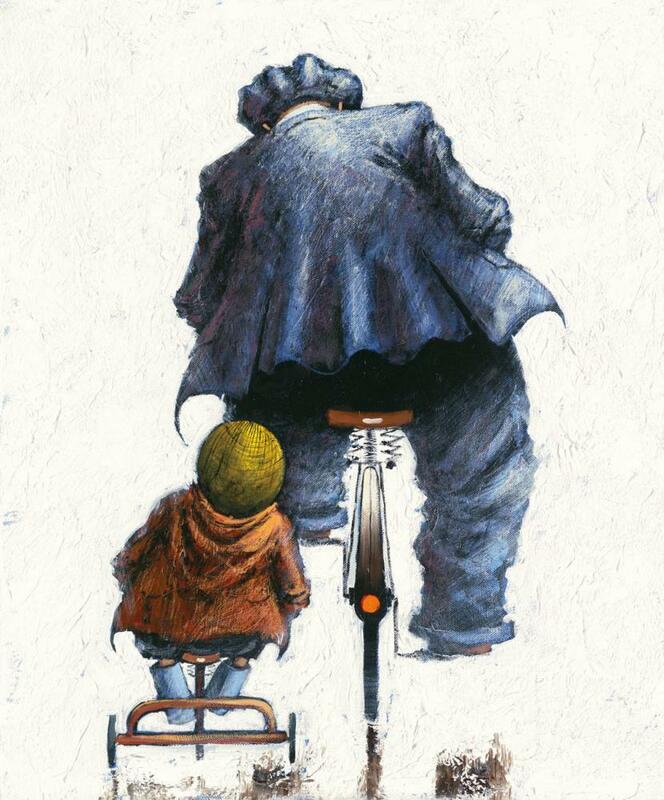 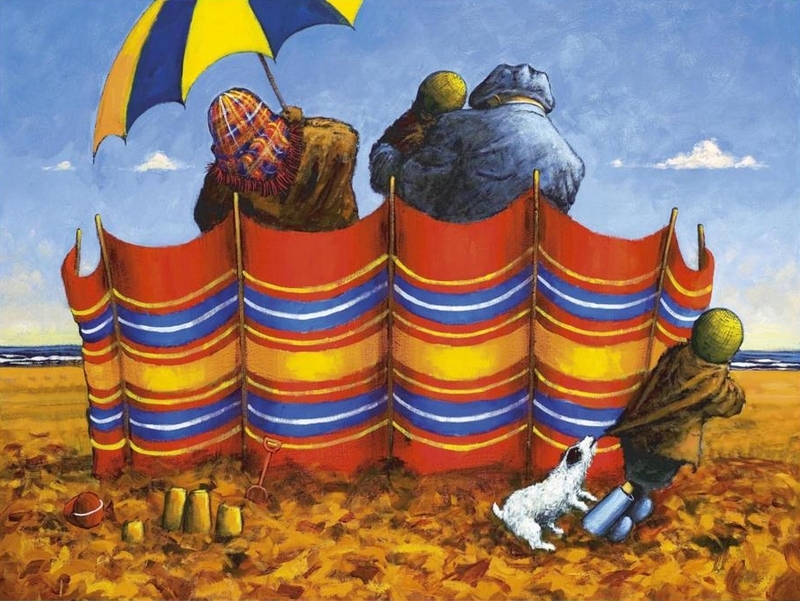 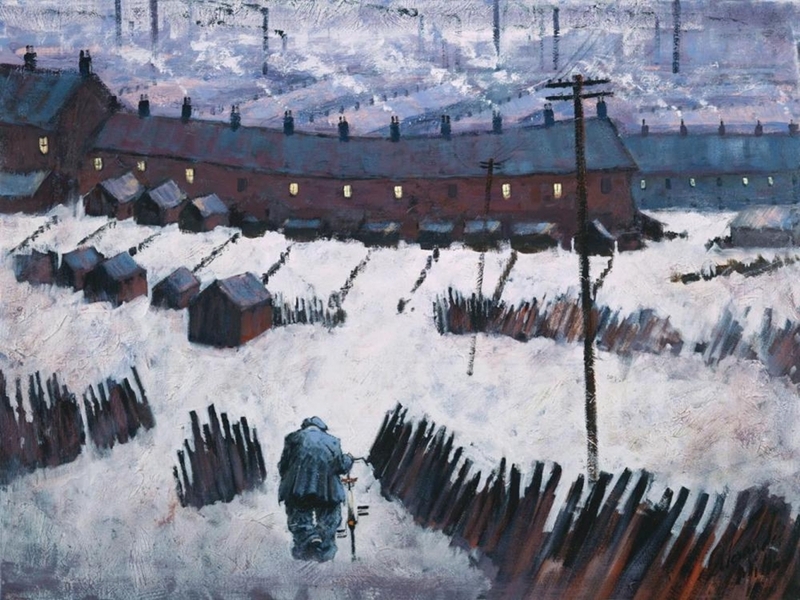 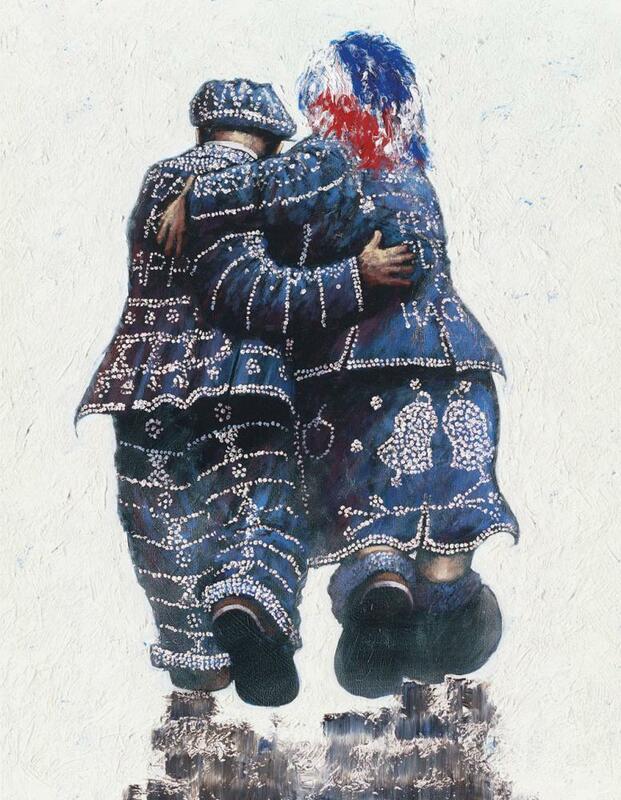 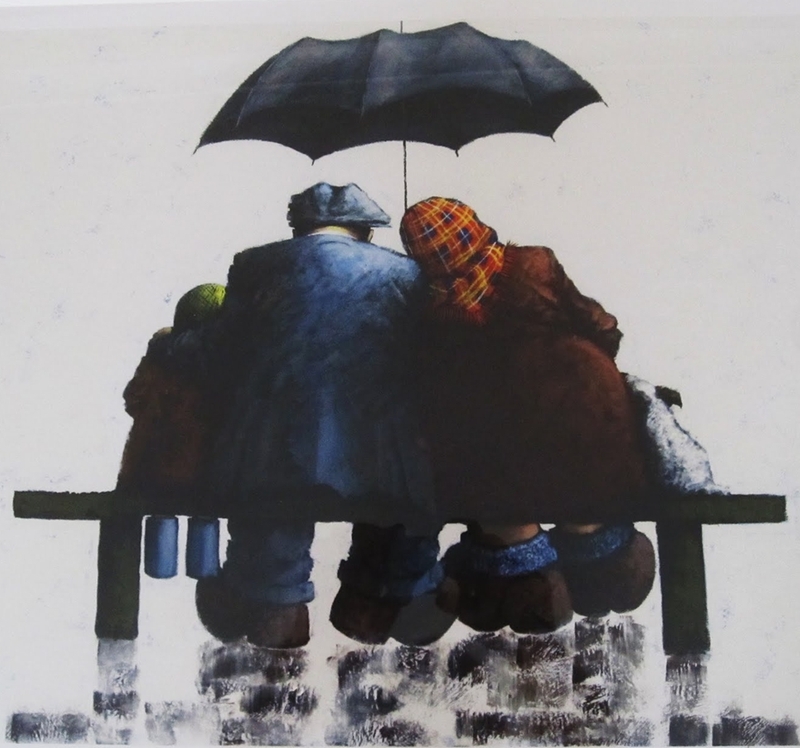 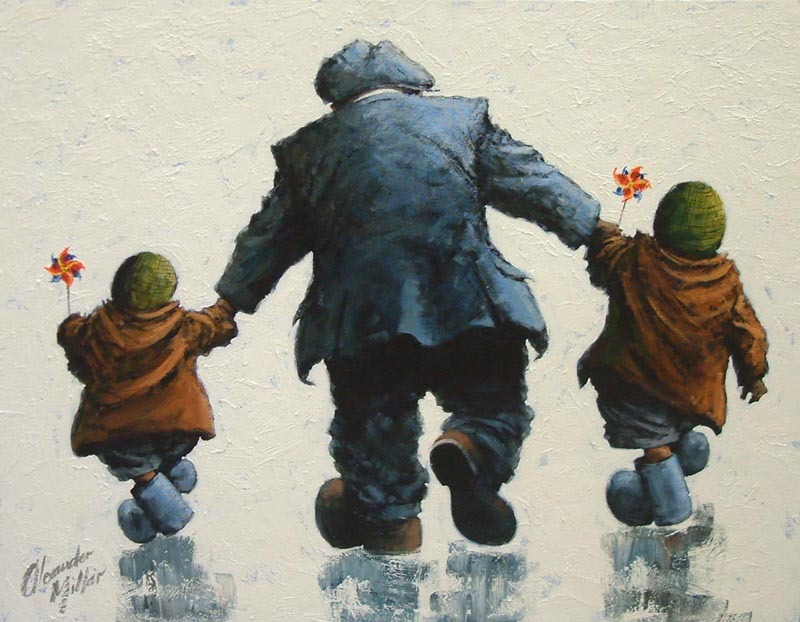 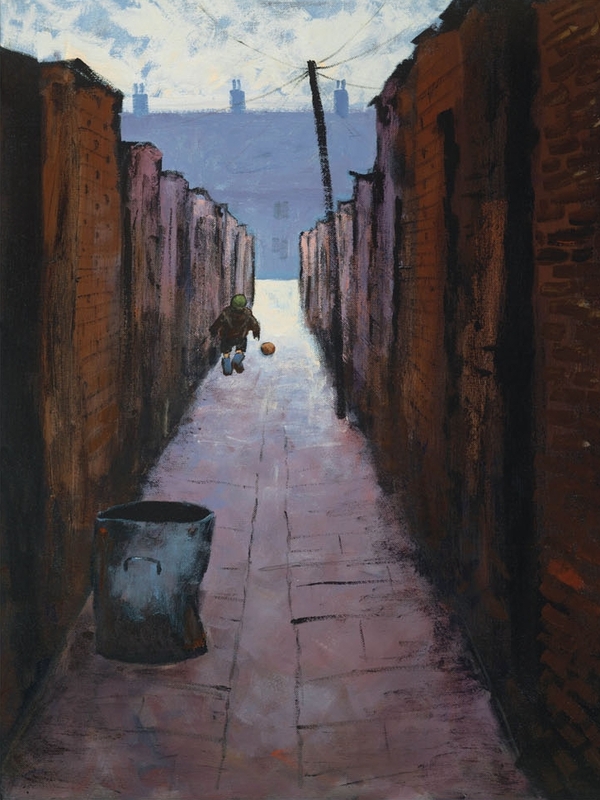 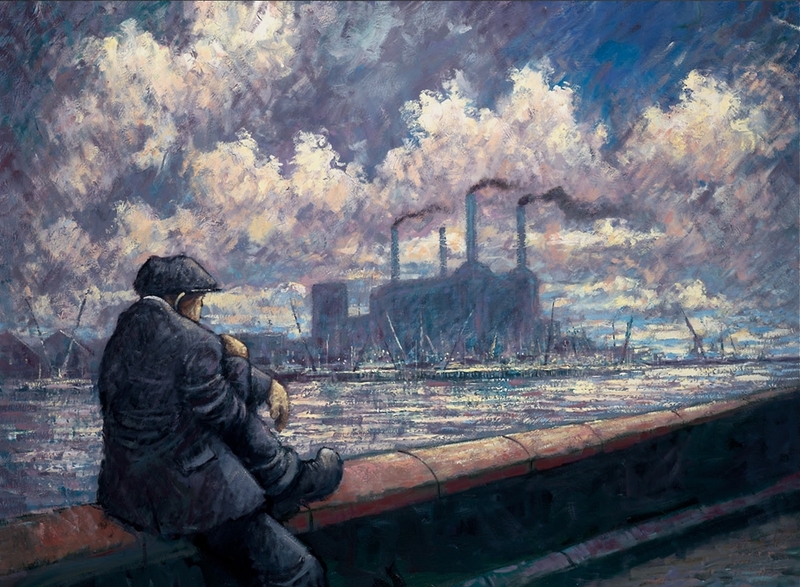 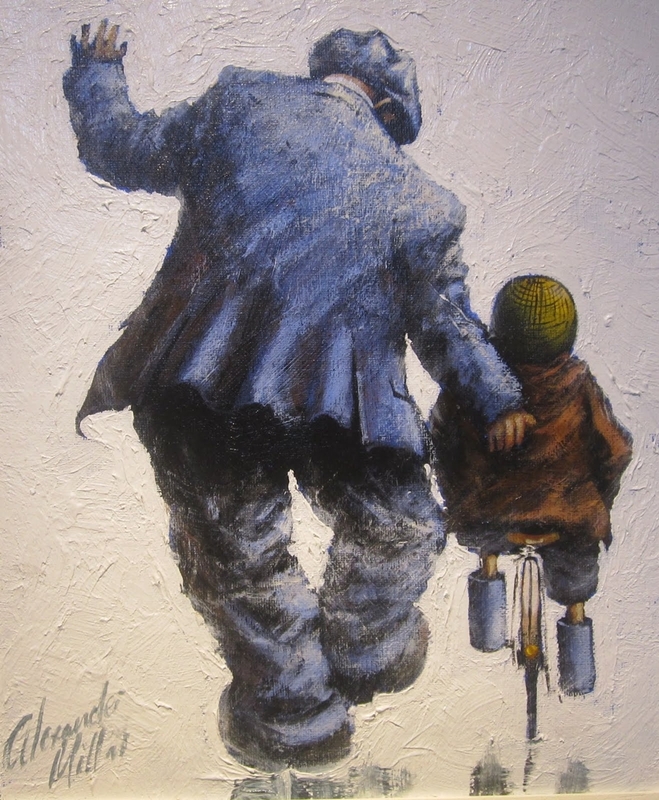 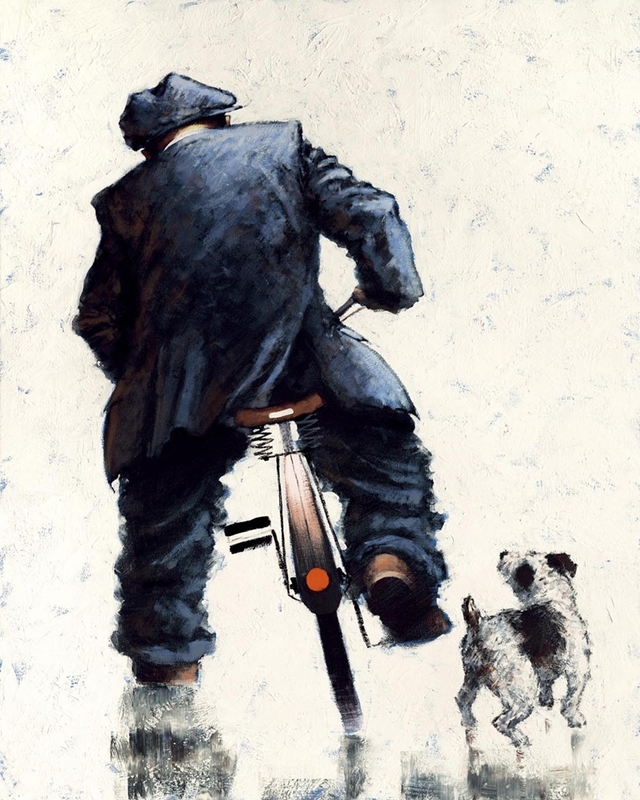 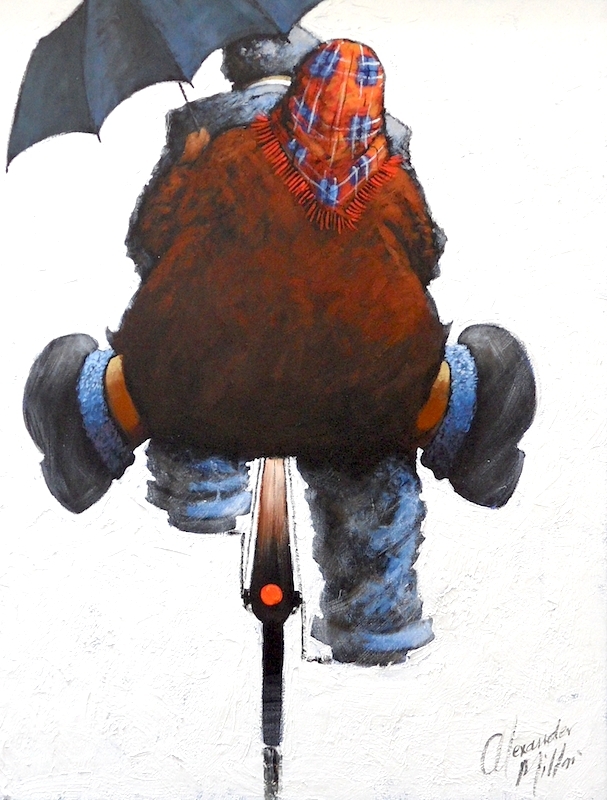 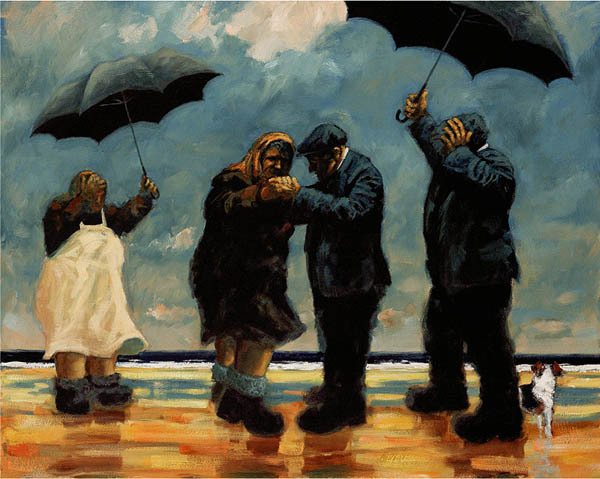 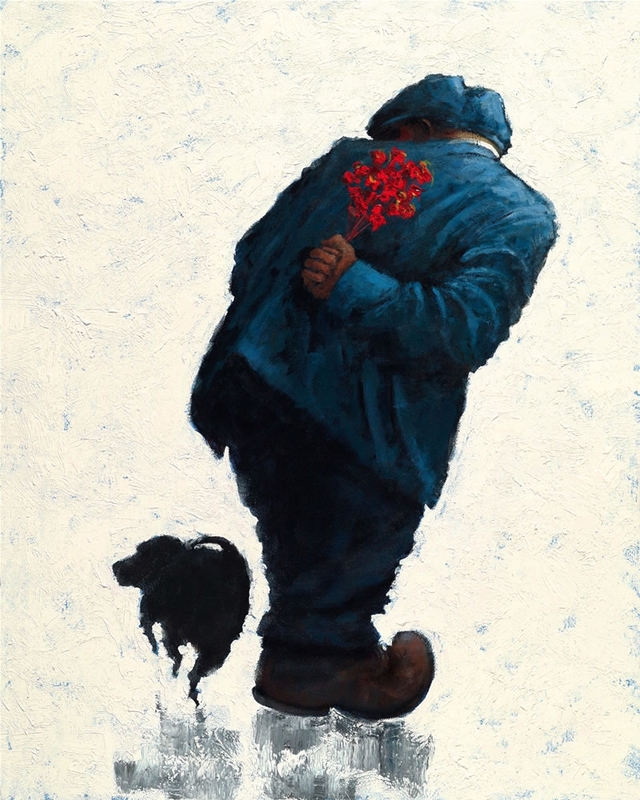 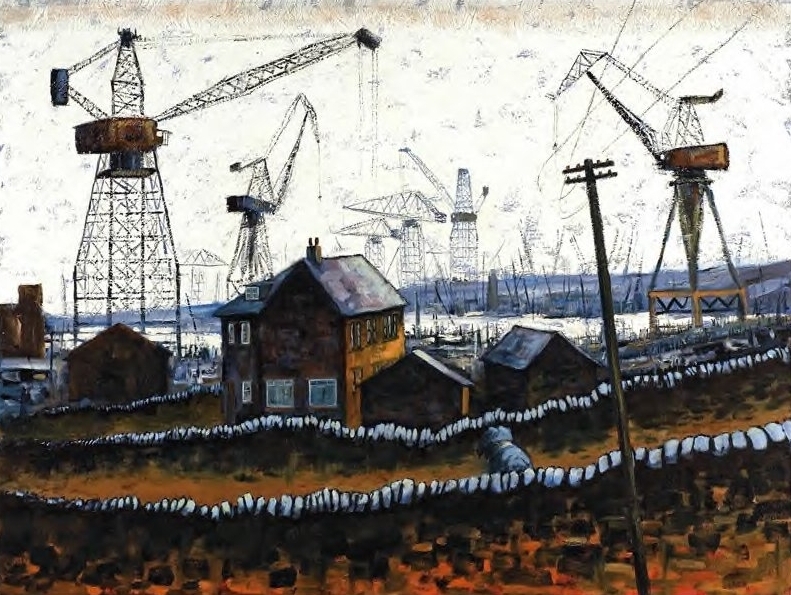 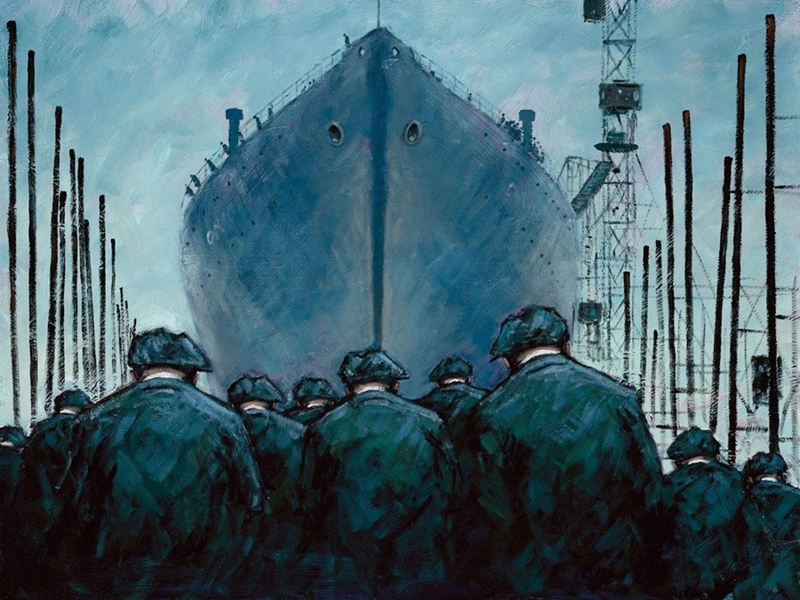 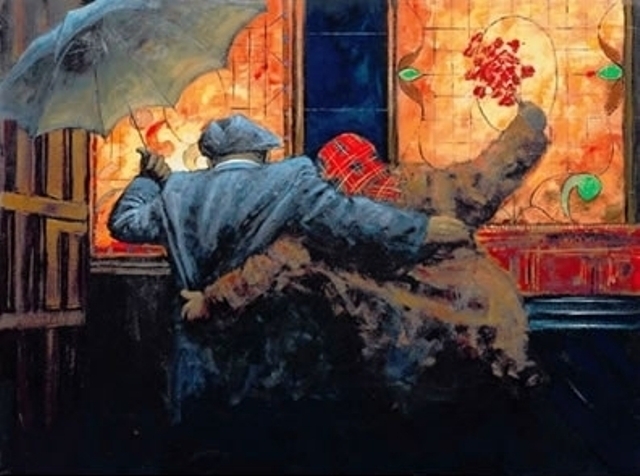 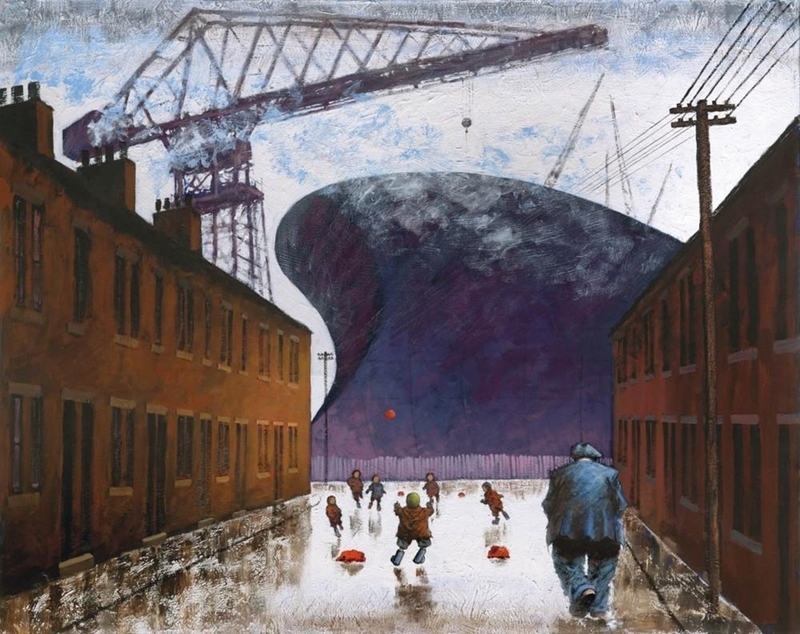 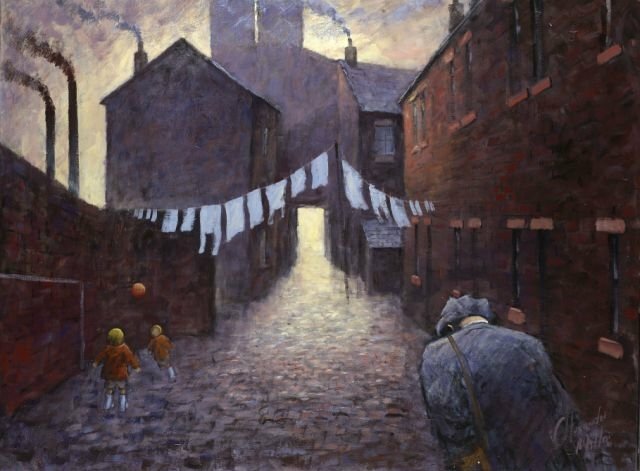 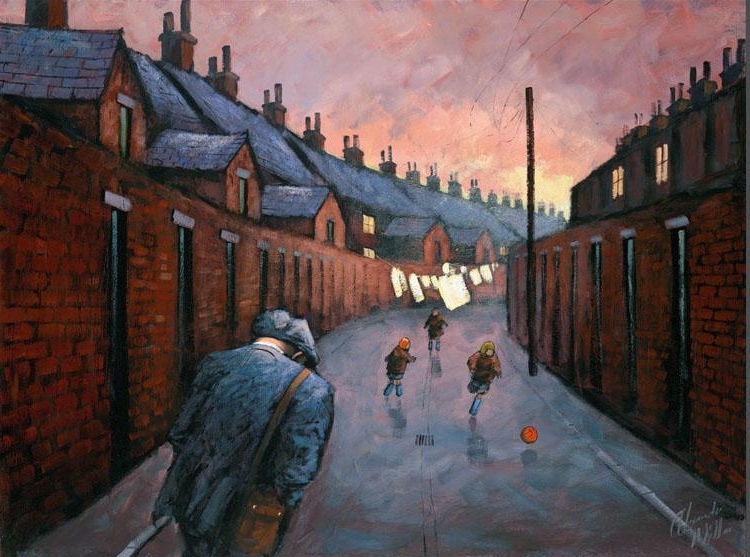 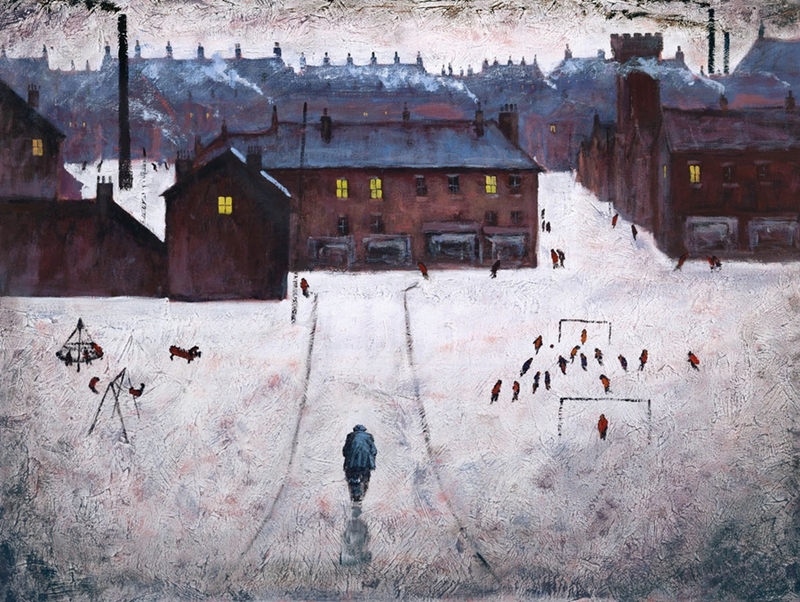 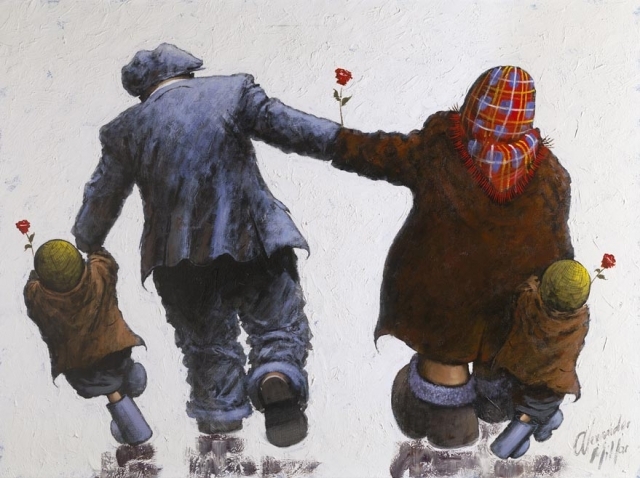 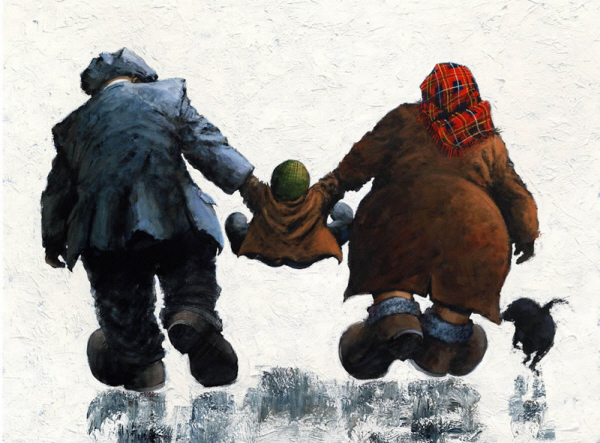 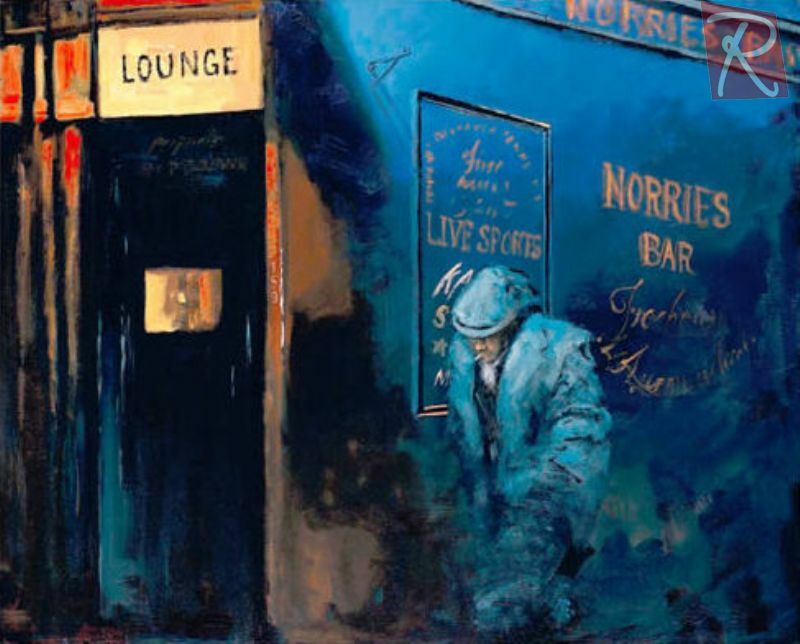 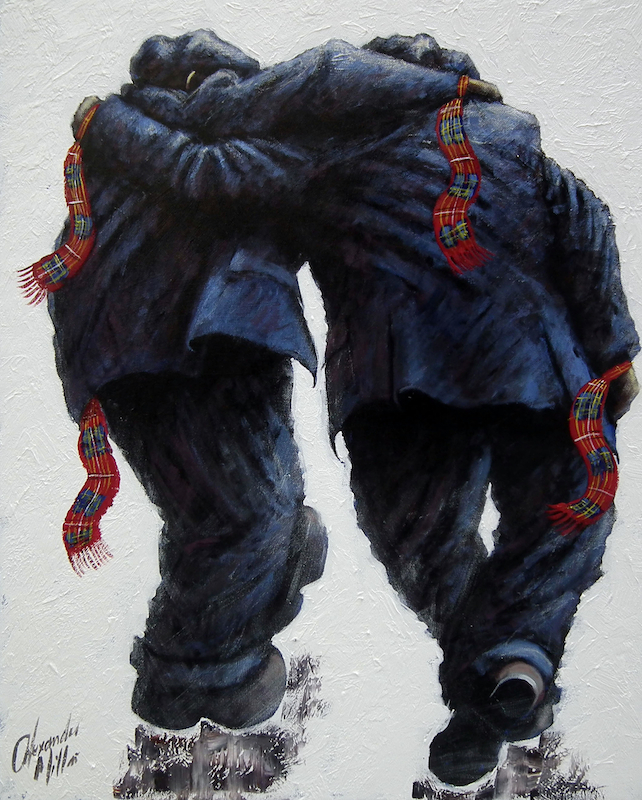 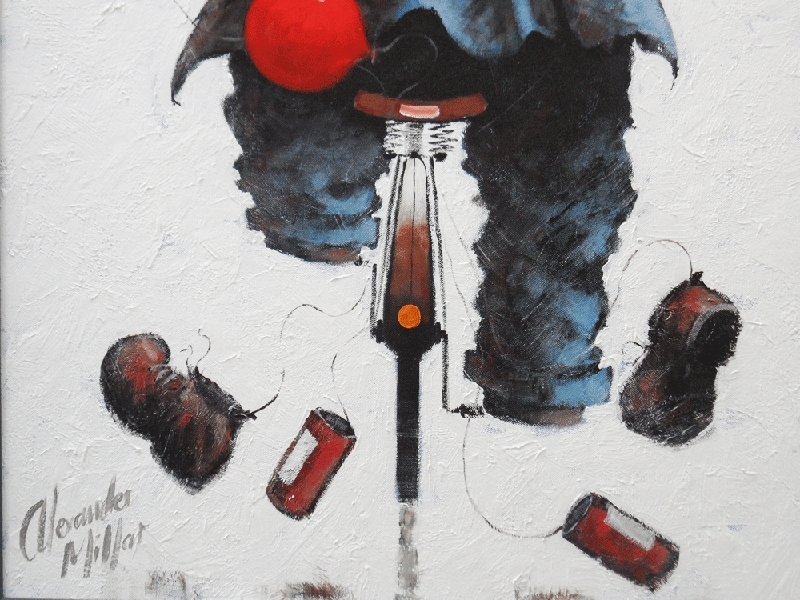 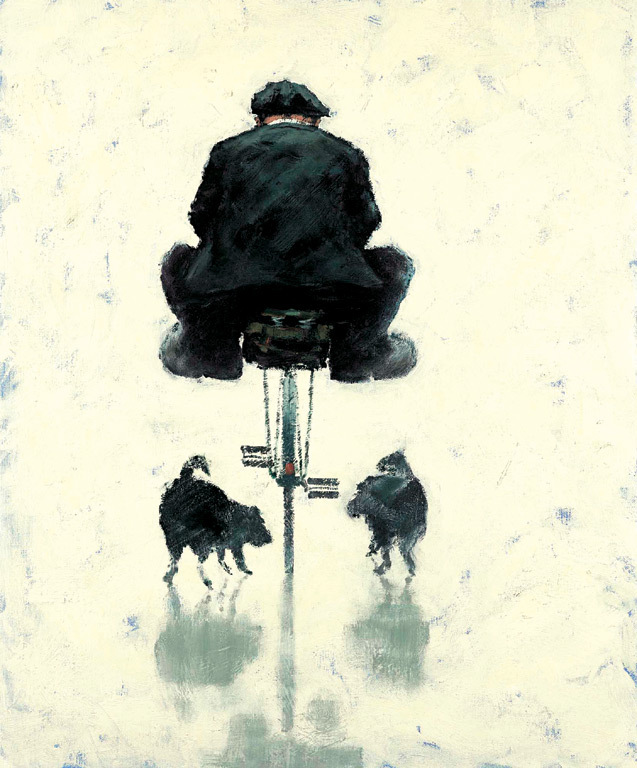 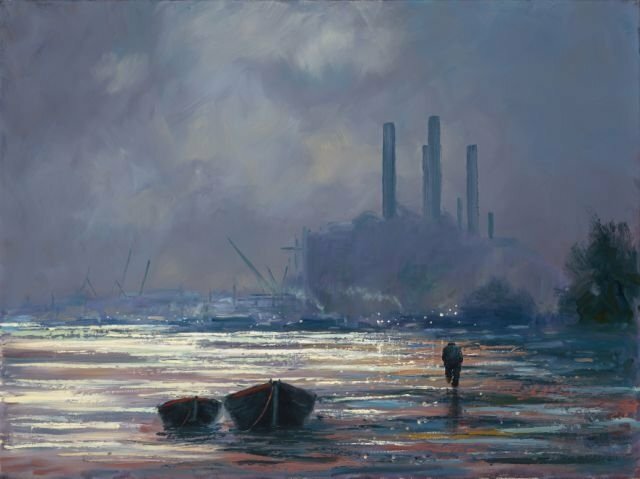 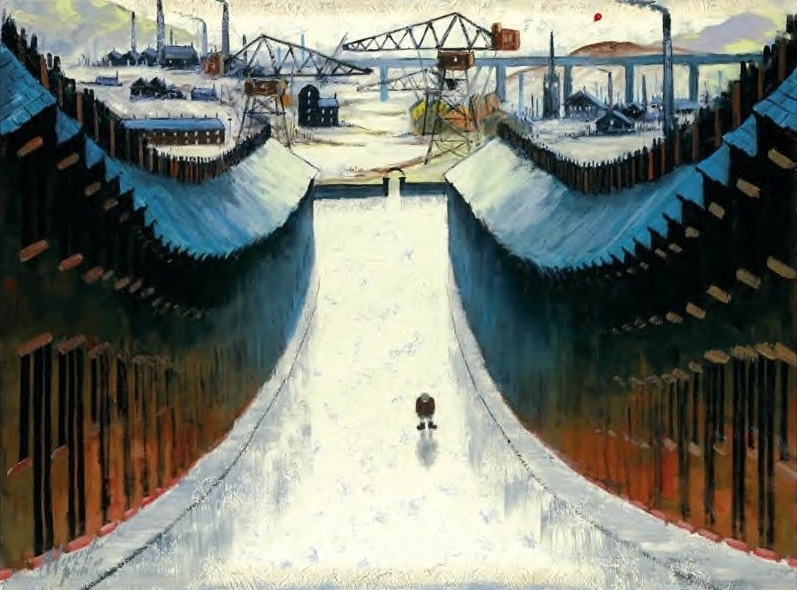 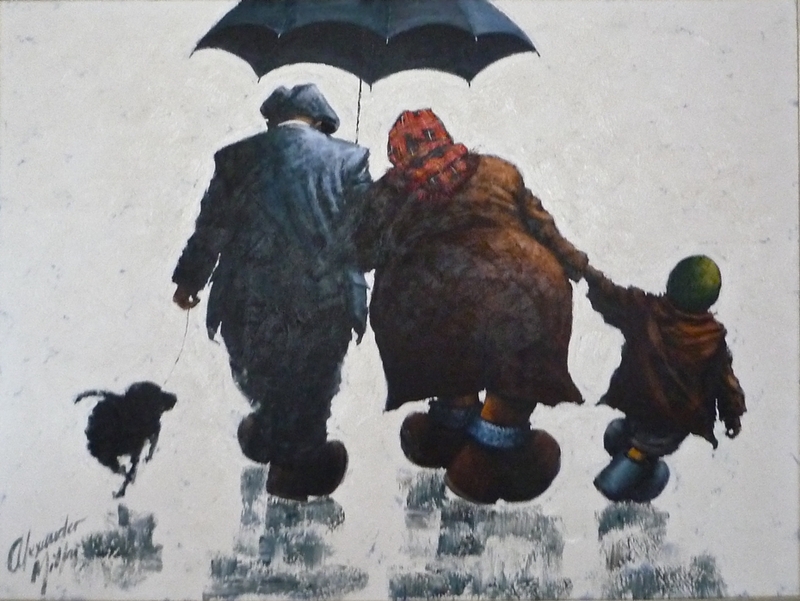 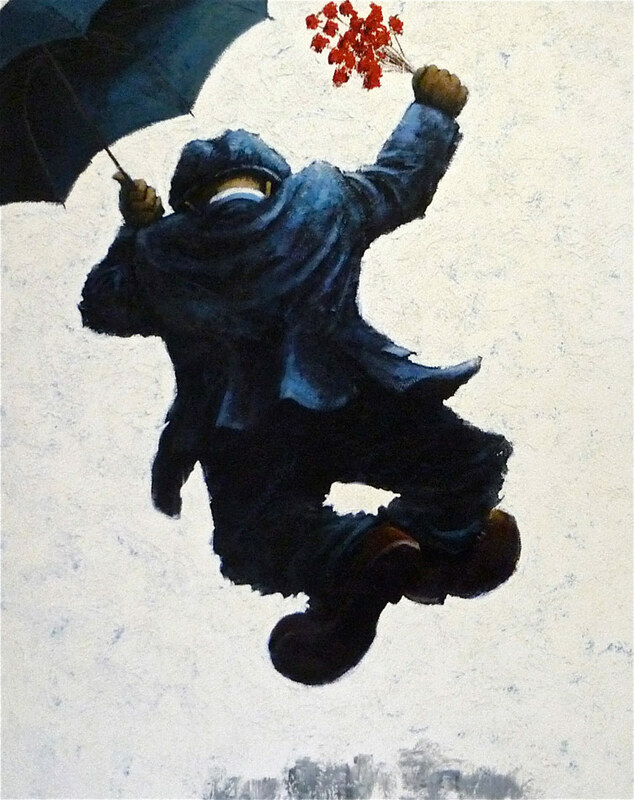 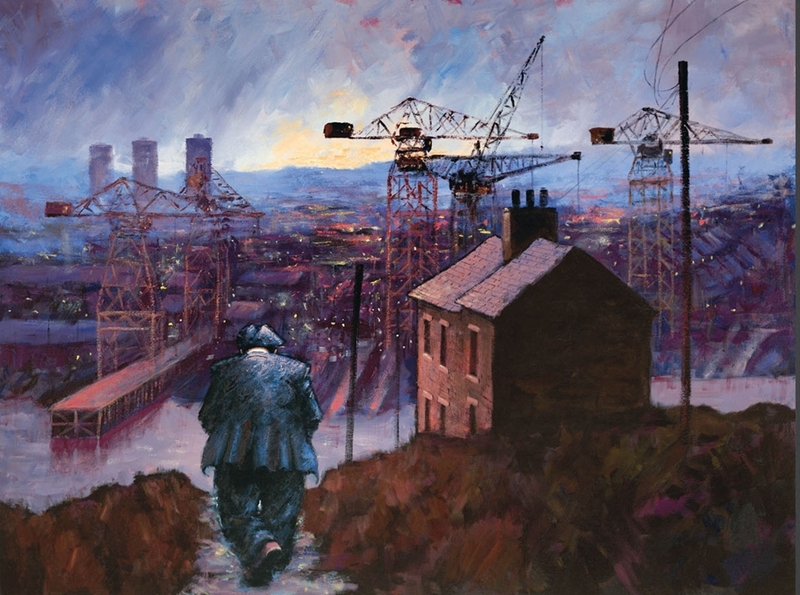 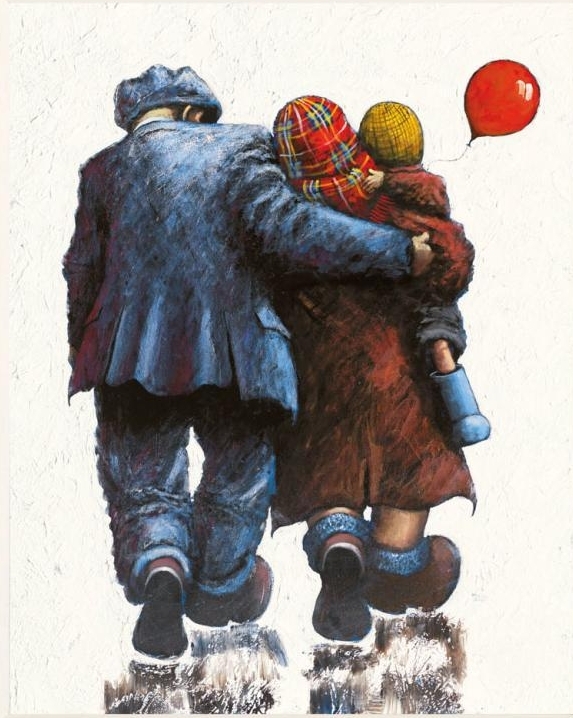 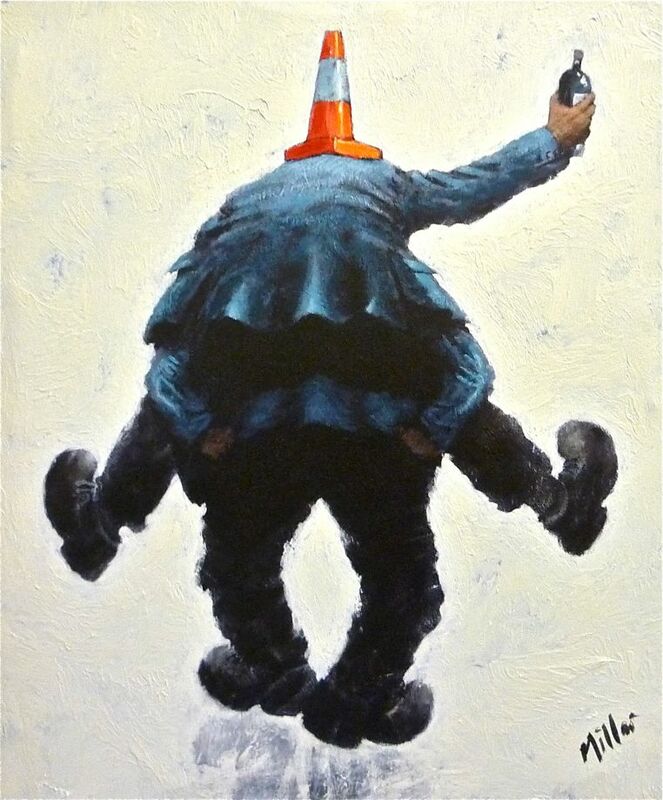 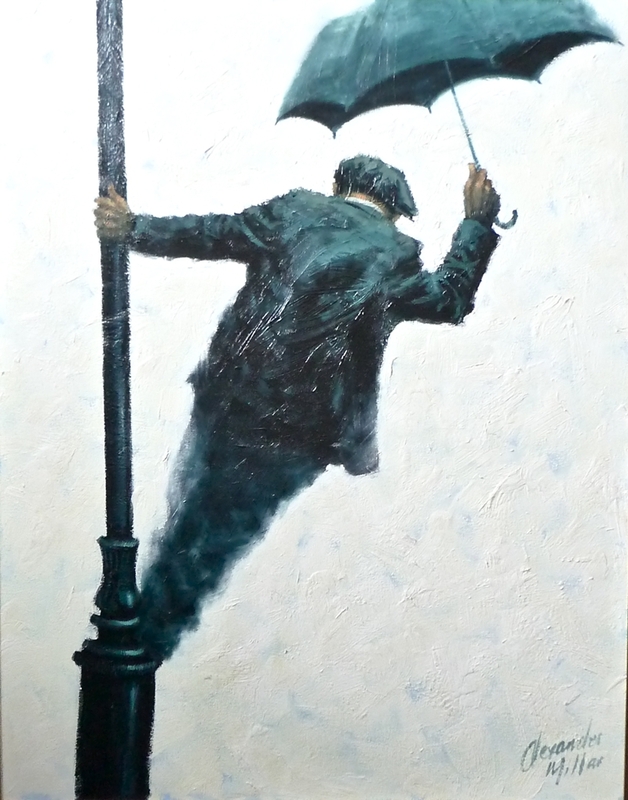 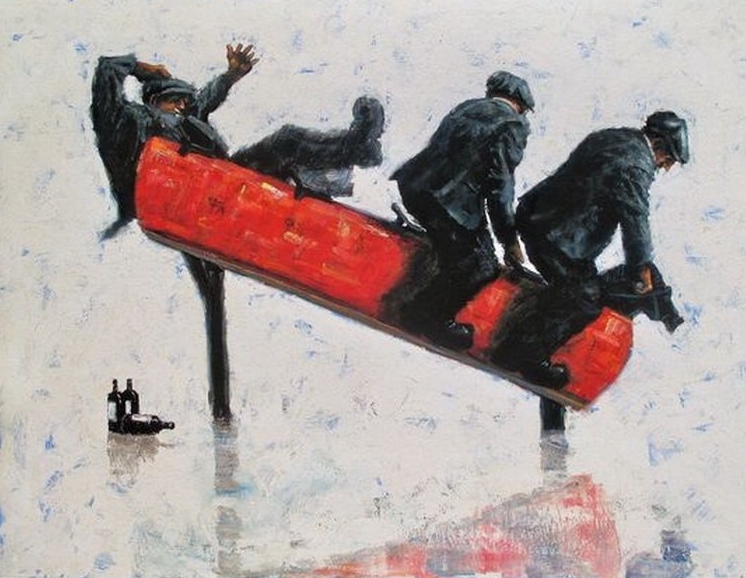 Scottish painter Alexander Millar is one of the UK's most popular contemporary artists. 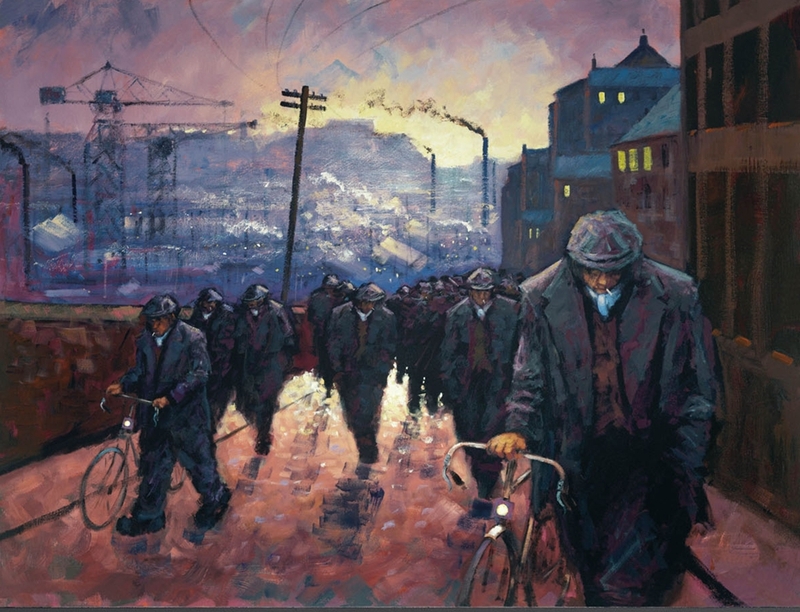 Born and raised in the small mining community of Springside, just outside the town of Kilmarnock on the west coast of Scotland, Millar's earliest memories were of his time spent in the company of old men dressed in dark suits smoking woodbines and large missile-shaped women decked out in big overcoats, pinnies, tartan headscarves and zipped booties, adorned with fake fur around the top. 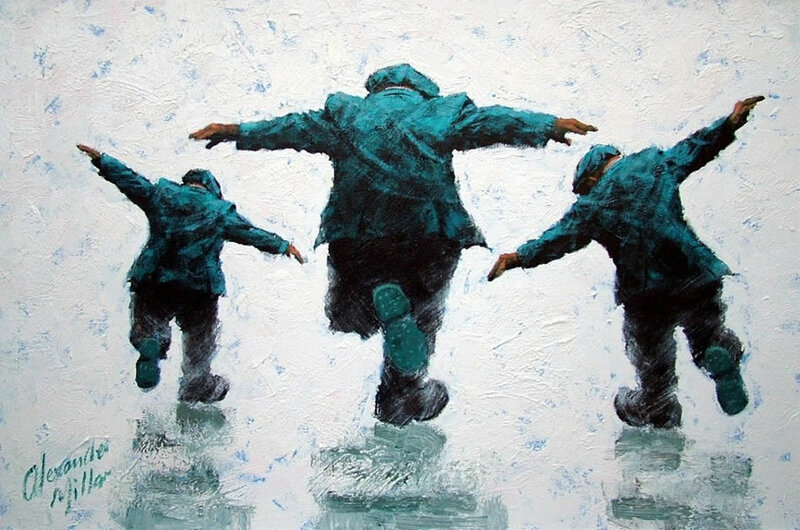 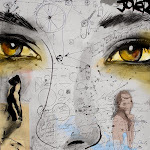 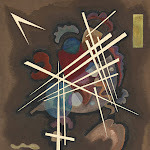 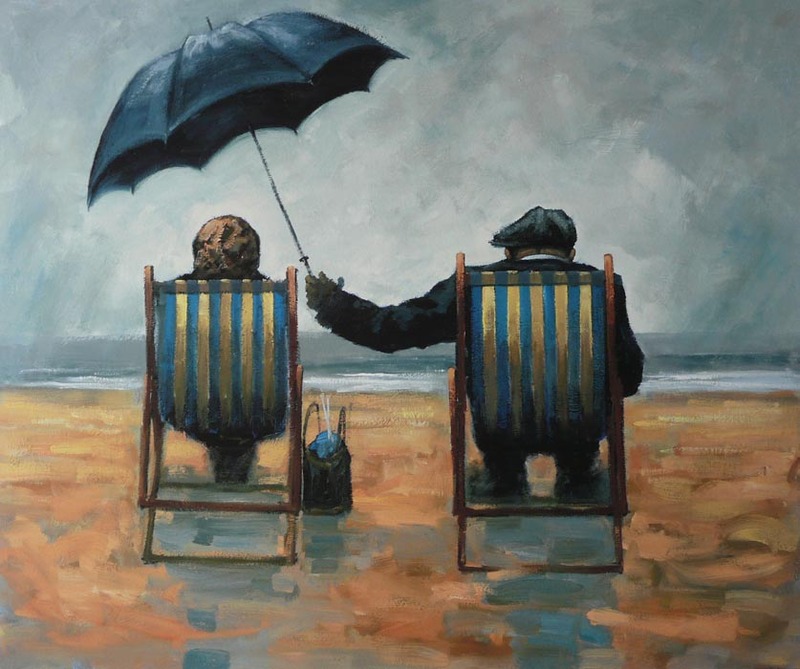 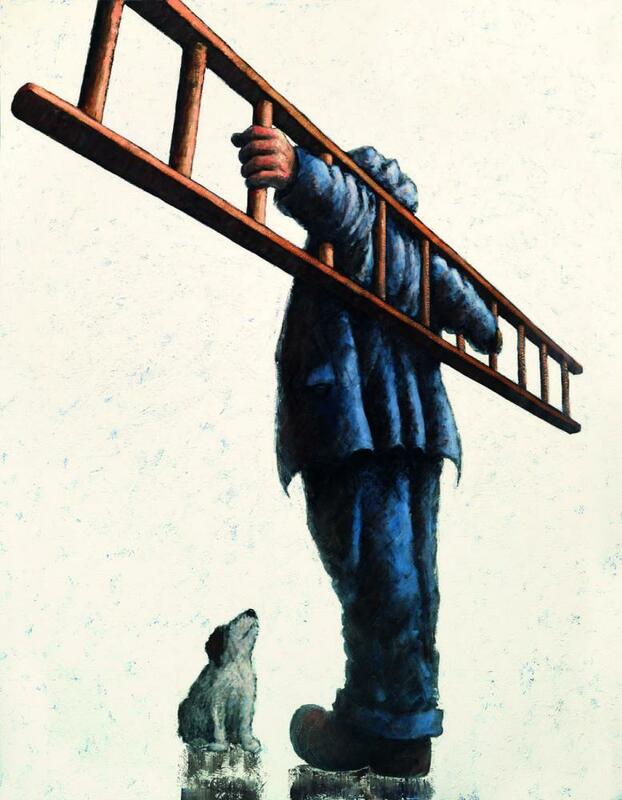 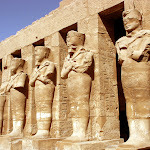 Has gained a large following for his sometimes humorous, sometimes moving pieces featuring solitary figures. 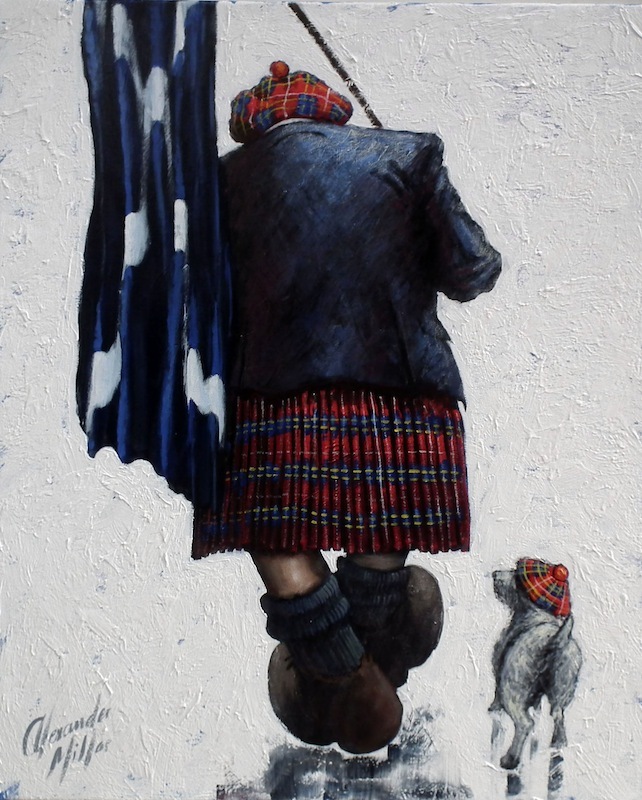 He is completely self taught, and after many years of developing his own style in art he turned to images remembered from his childhood and used the local Scottish 'Gadgies' as models in his paintings. 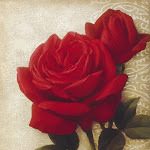 In his own words: "I am fortunate enough in that the things I love to paint are right in front of my eyes everyday. 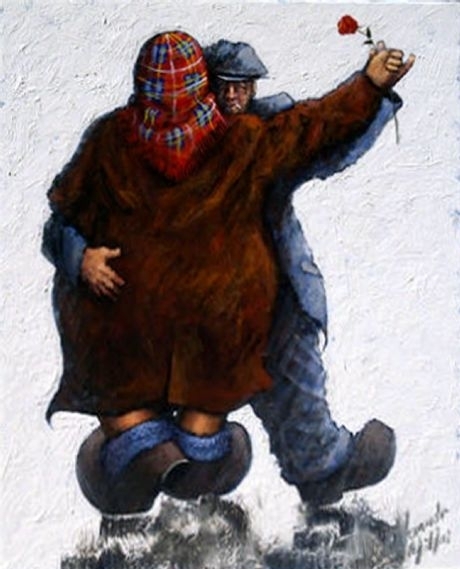 The hairs on the back of my neck still stand on end every time I see an old 'Gadgie'. 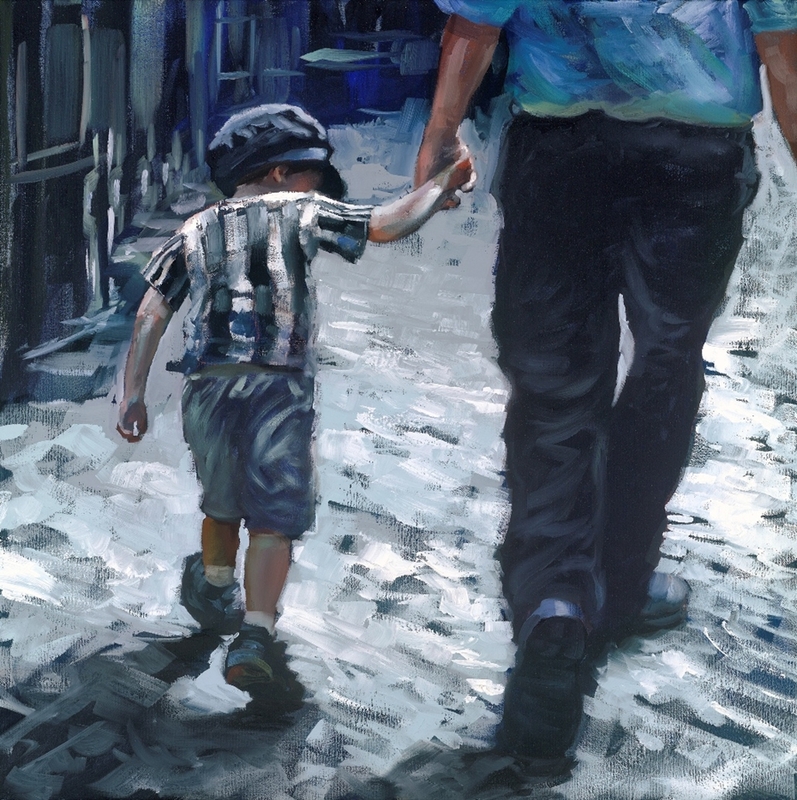 I love the movement of the street drunk; however he remains a difficult subject to paint - never staying still for any length of time. 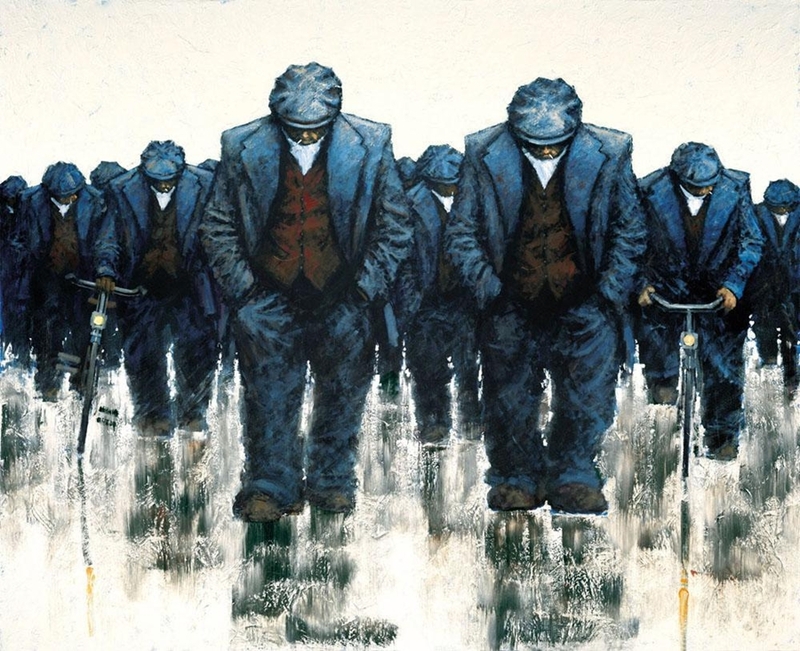 The real skill comes in trying to capture the just off centre stance of these vertically challenged individuals. 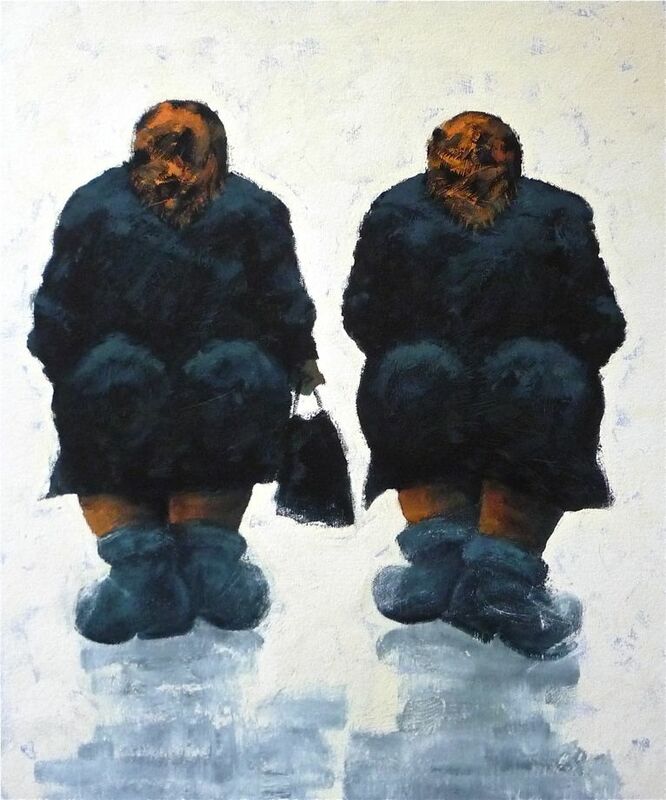 The gossiping old ladies standing on street corners, the tired old guy wandering home after a long hard day at work and the wee dog cocking its leg against the street corner are all appealing and interesting to me. 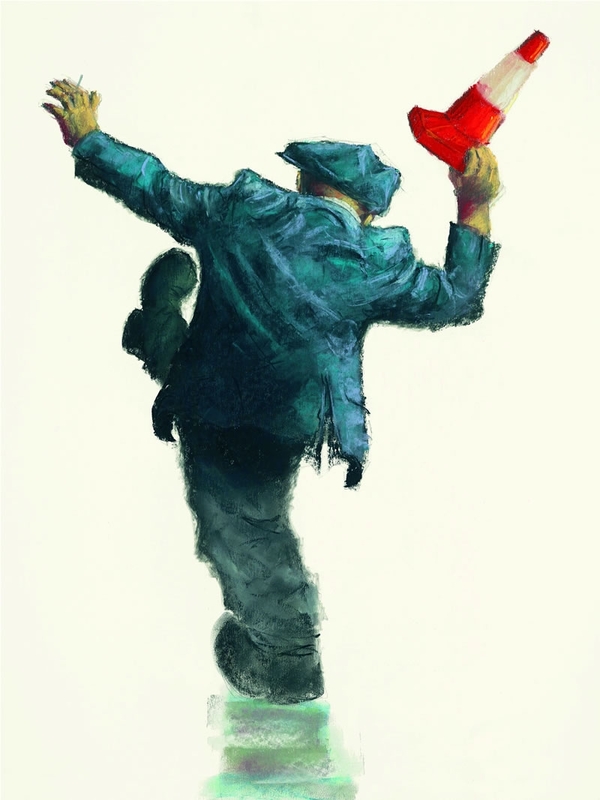 I see them all as different choreographed parts in a sort of street ballet".